The term “broody hen” basically means a hen who sits on her eggs for the purpose of hatching them. It doesn’t matter if the eggs are fertile or not; she’ll sit on them and get that “back-off-or-I’ll-kill-you” look in her eyes if anyone tries to stop her. Do you want your hens to remain broody or is it better to “break” them? The answer varies depending on your circumstances. If you want the highest ratio of egg per hen per pound of feed, it would be best to break the hen or she’ll lower the flock’s overall percentage of lay. On the other hand, if you want to hatch your own batch of cute little chicks (for fun or to replace culled hens), you might want to let the hen go through the 21-day cycle. The process of disrupting a hen’s broodiness is relatively easy. But first, you should take a precaution before your hens become broody to save you the time and trouble. To lower the chance of one of your hens becoming broody, you should not allow eggs to collect in a nest. Once she is broody, moving her from her nest, moving or covering the nest so she can’t get in, moving the hen to a separate cage or coop, or putting the hen in a broody coop should be sufficient to break her out of broodiness. What is a broody coop, you ask? The function of such a cage is exactly opposite what the name implies. A broody coop consists of a hanging wire cage where the hen is housed until she gives up sitting on her eggs. If you want to know how quick a hen will begin laying eggs again…take note! The longer you let a hen remain broody, the longer she will not lay after being broken. That is why, if you don’t want broody hens, you should break them immediately. Don’t assume that broodiness is bad. Although most hybrid breeds are bred to remove this trait, broodiness still lies hidden in several strains. Dual-purpose, heavy, or bantam breeds tend to become broody at certain times. 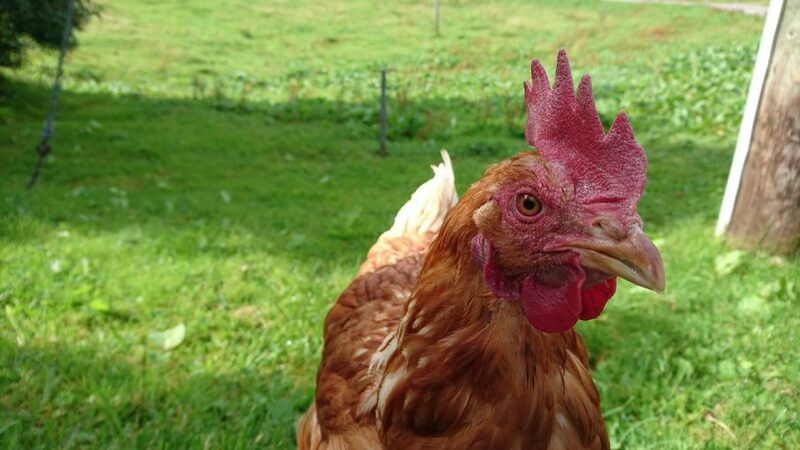 If you are planning to breed “naturally” without a pesky incubator, then you should invest in finding a breed or single chicken who becomes broody easily. Once a hen becomes broody, she usually stays on the nest until the eggs hatch (that’s only if they’re fertile). The hatching cycle usually takes 21 days, sometimes more, sometimes less.